Tonight (4/16) at 8pm SLT, turn the grid dark, midnight in rememberance of those lost in the Virginia Tech mass murder. There will be a candelight vigil in the Kula Coloseum from 8pm until midnight. Monument by Perefim Coa. 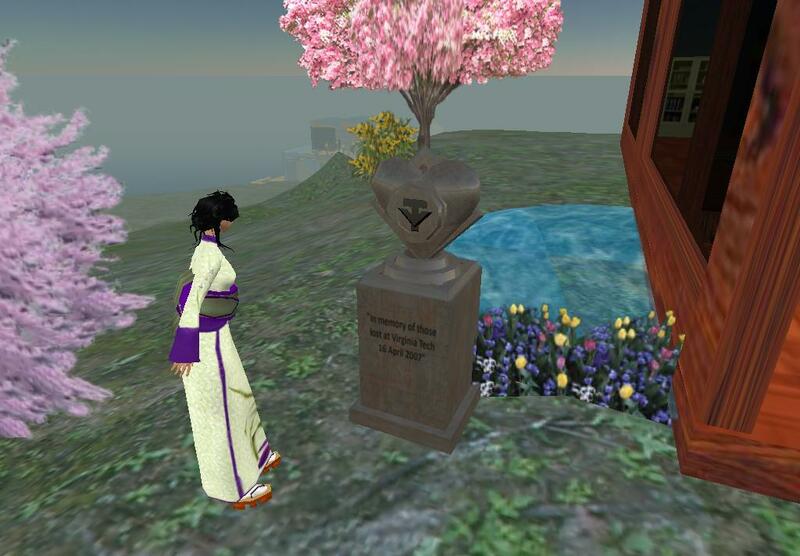 Janet Powell , “SL Memorial for Virginia Tech,” The April 16 Archive, accessed April 18, 2019, http://www.april16archive.org/items/show/314.